How to Delete a SharePoint Online Group? Login to your SharePoint Online site >> Click on Settings gear >> Click Site Settings. 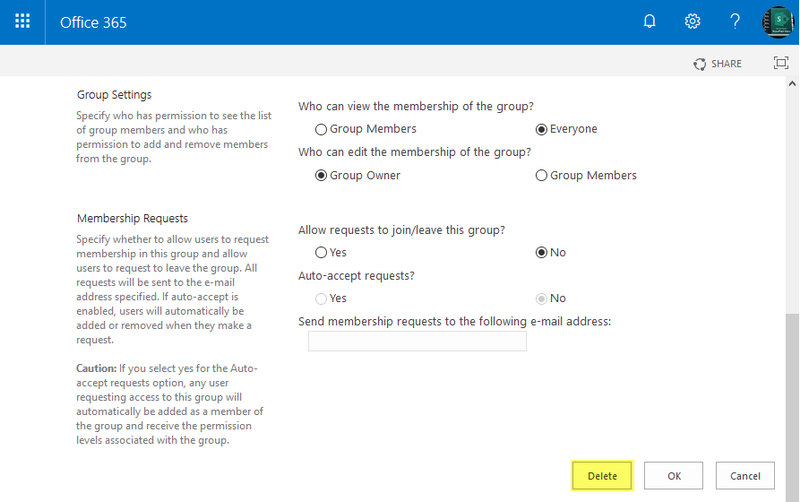 On the Site Settings page, Click on "People and groups" under Users and Permissions section. 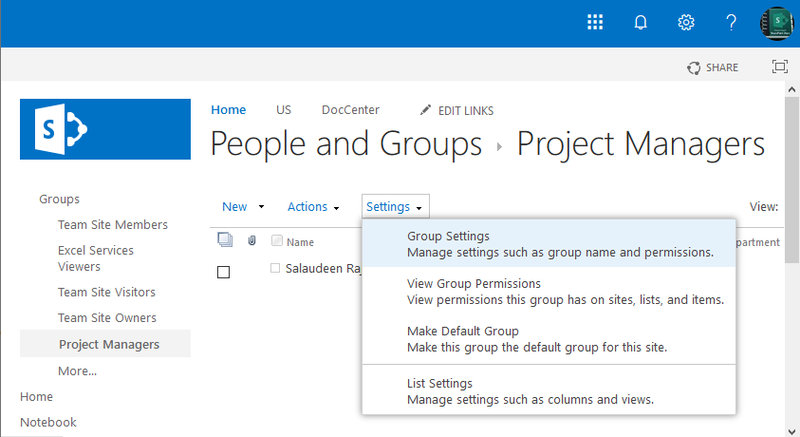 On the group settings page, scroll down and click on the "Delete" button and confirm the prompt, click OK to remove the group in SharePoint Online. This deletes the user group in SharePoint Online. Now, lets delete SharePoint Online group using PowerShell! Removing a group from a site also removes the users within that group from the site. Remove-SPOSiteGroup -Site "https://crescenttech.sharepoint.com/sites/marketing" -Identity "Marketing Managers"
This Remove-SPOSiteGroup cmdlet removes a SharePoint Online group from a site collection. This PowerShell deletes the given group in SharePoint Online.